True Fear: Forsaken Souls Collector's Edition is rated 4.5 out of 5 by 314. Rated 5 out of 5 by DenSire from BFG Release True Fear: Forsaken Souls Part 2 If you enjoyed Part 1, despite its flaws then every gamer request Goblinz have Forsaken Souls Part 2 released on BigFish Games immediately. Rated 5 out of 5 by McMinnville from Fantastic Game! I played this game and was blown away. There were times that I had to get up and walk away.. it was that scary. But where is the continuation of the story? I would like more of these kinds of games. The developers need to make more of these story lines and games please. Rated 5 out of 5 by Daisy5555 from Good game Good game! It was scary. It was mysterious. I like the story and I want more. The creators are just great! Rated 5 out of 5 by EeBeT from Jumped a few times The cut scenes really got me, made it intense with anticipation. I enjoyed the story, creepiness and overall game play. Rated 5 out of 5 by Marja67 from Scary!! I agree with all 5 star blogs. Love it. Scare me! Rated 5 out of 5 by liswan from Favorite HOG I love this game. The story is interesting, kind of predictable, but not in a bad way. There are moments where the graphics look very cheap, and then other moments where they are among the best i have seen in the genre. It isn't scary, but it has some creepy elements that are done well. The overall product is entertaining, production a bit inconsistent, but still good. Well worth buying the CE edition for the extras, but standard will be fun, as well. Sequel is supposedly coming out soon, but I wouldn't hold my breath. It ends on a cliffhanger, but I think we can all guess where the story is going easily enough, so not that much of a deterrent. Rated 5 out of 5 by Ludde83 from Love it Is the best game ever. But I'm still waiting for the next chapter. When is it coming???? Rated 5 out of 5 by Anashroberts32 from Please give us a sequel!!!! This game is absolutely amazing. I am not sure why this game is yet to have sequel, but please give us one! This game was both fearful and intense. This game held my interest from beginning until end. The bonus chapter was completely new from the original storyline and provided some insight into what we might expect from a sequel. This is by far the best game I have played on Big Fish to date. Please continue this series!!!!!! Rated 5 out of 5 by Mjoeplazas from Cripiest Aventure Game I never play It really give me the crips. I am wating for the sequel. Rated 5 out of 5 by skullfun from ~~BIG FISH'S BEST PSYCHOLOGICAL THRILLER INTENDED FOR MATURE AUDIENCES! A strange man arrived at your front door to deliver your sister’s invitation to visit her. The thing is, you have not seen your sister in 10 years and you just had a terrifying nightmare last night, as curious as you are, you decided to give it a shot. True Fear: Forsaken Souls from Goblinz is the first game from the True Fear trilogy, and this first part proves that this is going to be the most creepy HOPA franchise ever! True Fear: Forsaken Souls is an intense psychological thriller intended for mature audiences (which is rarely seen). True Fear: Forsaken Souls is a really terrifying game, full of jump scares and amazing but extremely creepy effects. The first cut-scene is quite horrifying, bloody and gruesome so if you do not like those aspects in a ‘casual’ game, True Fear is probably not for you. I found True Fear to be a fresh breath of air though since none other HOPAs in the market is as terrifying as True Fear is. 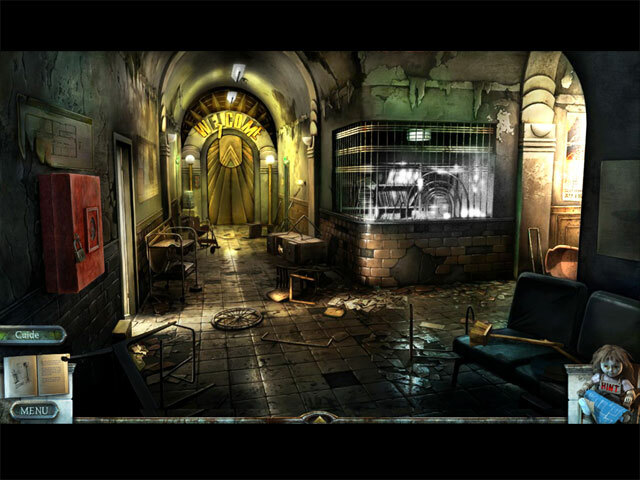 Despite that, True Fear is not a fast-paced game; the story is simple to follow and the gameplay is quite challenging. The story nicely develops through creepy notes and excellent cuts-scenes which makes the game interesting. The most redeeming feature is the game’s super creepy atmosphere. Most of the scenes are relatively dark in terms of lighting, still, items and areas in the scenes are clear enough to investigate. The soundtracks are also fantastic, very chilling indeed; the voice overs are dramatic which really engage us into the game. The Hidden Object scenes are a bit out of place in our opinion, we think that True Fear would do a better job as a casual adventure game. 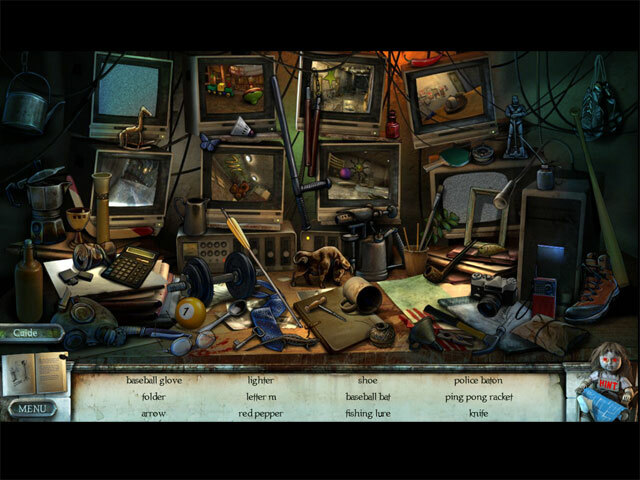 Hidden Object scenes are bright compared to the adventure scenes, objects are big and easy to find. 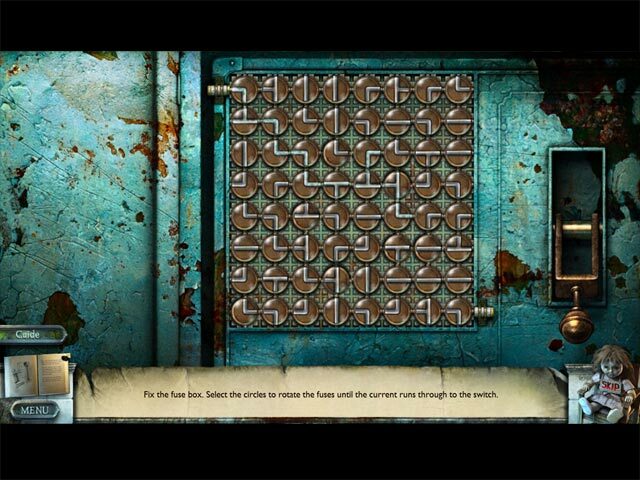 The puzzles are nothing really creative, but they are fun and tie in the storyline very well. The main game abruptly ends after roughly 4 hours of gameplay, leaving me with a huge hangover and countless unanswered questions. To be honest, I was a bit annoyed by this but all it does is keep you impatiently waiting for the second game planned to release. As for the Collector’s Edition features, they are very tightly-packed. The Bonus Chapter is as exciting as the main game is, and serves as a fascinating introduction to the second part of the series. Other extras are the usual stuff plus Deleted Scenes, Alternative Introduction video and some sneak peeks for the second game.